My parents have been multilingual for as long as I can remember. The adjustment they had to make when they moved to the United States never really crossed my mind. I can’t speak another language, but I understand my parent’s native tongue pretty well. The Igbo language is only spoken by the Igbo tribe in Nigeria, but I have a sneaking suspicion that most of the tribal languages in Nigeria are intelligible to other Nigerians. My parents only speak Igbo at home or around other Igbo people, so I have never seen how other people react to the language. You never really know how people are going to react a language being spoken that they don’t understand. I would like to think that people would try and be as helpful or cooperative as possible. I’m not sure if that’s the case though. Outside of my parents, most of my encounters with multilingualism occurred with my bus driver in middle school. His name was Carlos Rodriquez Knight. Although we just called him Mr. Knight. There was one encounter with Mr. Knight that I will never forget. There was apparently an accident so we had to take an alternate route to school. That meant crossing railroad tracks. When you’re in a railroad crossing, you have to be completely silent so that the bus driver can here the train coming. Mr. Knight yelled out “Silencio” which from context clues could easily be referred to as silence. Instead of remaining silent though, we all continued to talk and scream. Mr. Knight was able to stop in time, so no harm was done. It was funny then, but looking back…it seems callous and potentially hazardous. Mr. Knight spoke English, but his English was heavily accented and butchered. 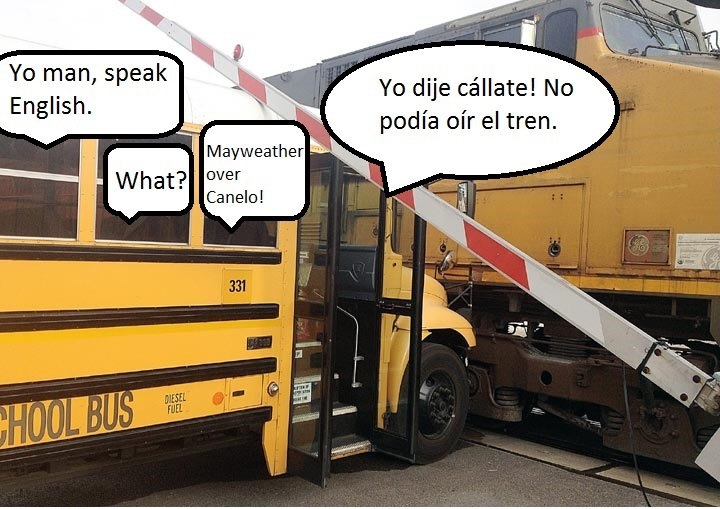 Spanish was clearly his first language and he spoke it often, even when giving directions to passengers. He would constantly say things like “Siéntese!” or “Cállate!” Truth be told, I rarely understood what he was saying in either language. When he tried to say “Be quiet!” in English it sounded like “Be ciat!” You can imagine the reaction we all had to that as Middle School students. Constant imitation and laughter was the norm. I don’t think a single day passed that someone didn’t make of fun Mr. Knight for his communication issues. Even when we understood what he was saying it was much more fun to pretend like we didn’t. Spanish is a complex language, strangely enough it is generally accepted that it is easier to learn than English. In Spanish, the words all have genders and you have to conjugate the endings of every verb for different tenses. There are so many conjugations; it seems impossible to remember them all in their proper context. Even the native Spanish speakers in my class did not know them all. Learning the language was certainly an eye opening experience though. I can’t remember everything that Mr. Knight said, but his words would have sounded like gibberish after I completed four years of Spanish in High School. Every time he said, “Espero que tengas un buen tiempo”, I could have responded with “Gracias”. On that note, I could tell Mr. Knight was always worried about inspection time. Inspection is when an administrator comes onto the bus and questions the students. It is the bus driver’s responsibility to give the students the answers to the questions beforehand and make sure everyone is in the right seat during inspection. To be honest, the questions were usually bus rules that we as students had heard since Kindergarten. This didn’t stop us from purposely messing up inspection to mess with Mr. Knight. The inspector would ask us questions and we would respond with answers in pseudo-Spanish or answers in fake accented English. It was hard to fail inspection because most of the time the inspector would just give us the correct answers or schedule our bus to have inspections more often. Looking back, we really could have cost Mr. Knight his job. This was inexcusable behavior and a gross reaction to multilingualism. Language is one of the hardest barriers to get through. Mr. Knight was not a bad guy, he was just an immigrant looing to make it in a foreign country. As a child, I never thought about the struggle he had. I certainly didn’t help his endeavor. People need to be more cognizant to the languages around them. This is America. Cultural homogeneity should not be expected. 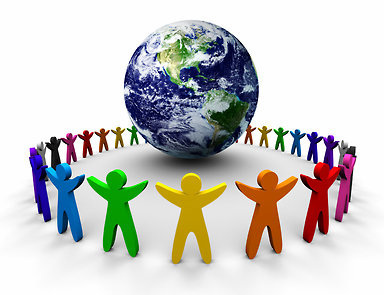 When encountering someone who speaks another language, people should react with respect and the desire to communicate. Unfortunately, this was only something I came to realize after looking back to my experience with Mr. Knight. The language barrier is one that is often not easily broken, but at the very least the barrier shouldn’t be compounded through ignorance. I asked my parents how people reacted to their language when they first came to America. I was surprised to learn that what they experienced was not much different from Mr. Knight. My mom told how her college professors would ignore her in class because she was not fluent in English. It did not matter which class it was, the professor’s reactions were all the same. My Dad told me that he mostly affiliated himself with other Igbo’s in the United States. Back in the 70s and 80s, it was not expected for people to be helpful when it came to language barriers. As I have found out, people don’t always react kindly to another language. 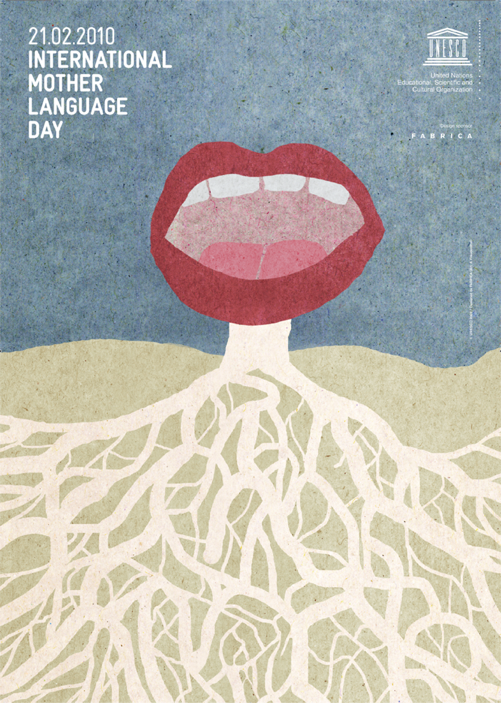 Is it because we cannot fathom how people cannot speak our native tongues? Is it because we are jealous of our own inability to speak another tongue? The reason doesn’t matter. I, for one, know I can do better. A memorable encounter. My Bus Driver pleaded for us to shut up, but we ignored him. The images inside the image are all related to multilingualism and they represent the multilingualism language barriers that make the whole picture harder to see.